Each chapter contains an extensive literature search, and the final chapter covers the general rationale behind medical alarms and discusses their advantages and disadvantages. The demand today is for non–invasive monitoring methods wherever possible, for patient comfort and to minimize risk and possible litigation. These non–invasive procedures are therefore becoming the most widely used by hospital doctors, general practitioners, hospital and community nurses and midwives, and by all those working in anaesthesia, intensive care and emergency care. The up–to–date information in this book, amply illustrated with explanatory line diagrams, will provide all required to perform these procedures with a reassuringly complete and clearly described reference. 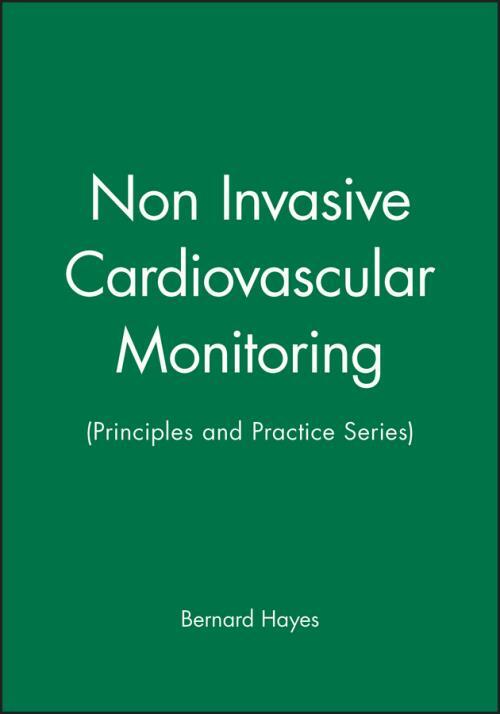 Preface; Introduction; ECG monitoring; diagnostic scope and limitations of ECG monitoring; non–invasive blood pressure (NIBP) monitoring; sphygmomanometry; oscillometry and oscillotonometry; the force–balance principle and related methods of tonometry; problems and errors in blood pressure measurement and instrumentation; diagnostic scope and limitations of blood pressure monitoring; ambulatory non–invasive blood pressure monitoring; home blood pressure monitoring; pulse monitoring; Doppler ultrasound monitoring, including echocardiography; electrical impedance monitoring; alarms; Bibliography; Figure References; Index.